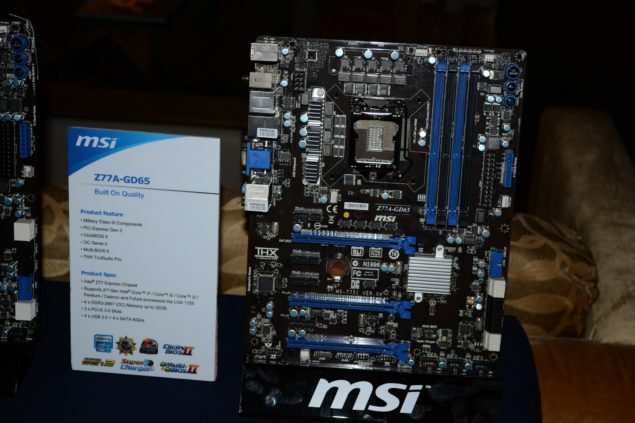 MSI has displayed two of its upcoming motherboards based on Intel’s Z77 chipset at the CES 2012 event. 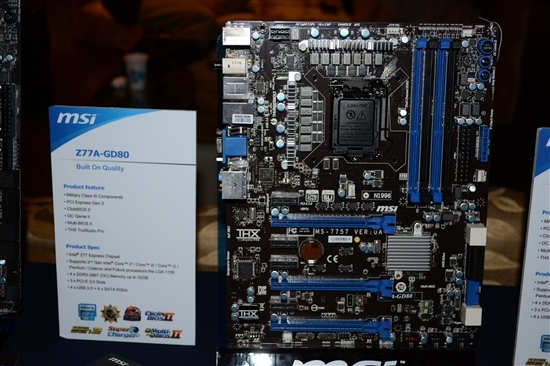 These include the High End Z77A-GD80 and Mid-End Z77A-GD65 motherboards which would feature the LGA1155 socket (Intel Z77 Chipset) to allow support for Intel’s upcoming Ivy Bridge Processors launching in April 2012. The MSI Z77A-GD80 uses a 14-Phase VRM to power the CPU which is provided juice through an 8 Pin Connector. 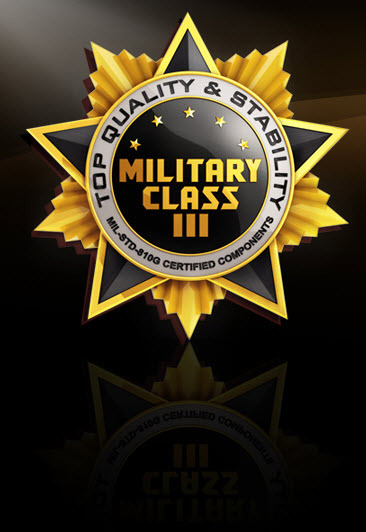 The board features MSI’s Military Class Components which include DrMOSII, High C- Caps and Super Ferrite Chokes to allow for huge overclocks. Four DIMM slots allow for Dual Channel DDR3 32GB Memory Support with frequencies upto 2667Mhz+ (O.C). Expansion slots include three PCI-e x16 3.0 slots supporting CrossfireX and SLI Multi GPU support, 4 PCI-e x1 3.0 slots. Storage includes 4 Sata 6Gbps and 4 Sata 3Gbps ports while I/O connectors include 4-USB 3.0, HDMI, SPDIF, PS/2, VGA, Firewire, BIOS Reset switch, 7.1 Audio Jack powered by THX TruStudio Port and Intel Thunderbolt Port. The Z77A-GD65 is pretty much the same board only with a weaker power phase featuring 9-Power Phases, Other specs remain the same. Both boards are in development stage, We’ll see better heatsink designs in the final retail models in the upcoming months.